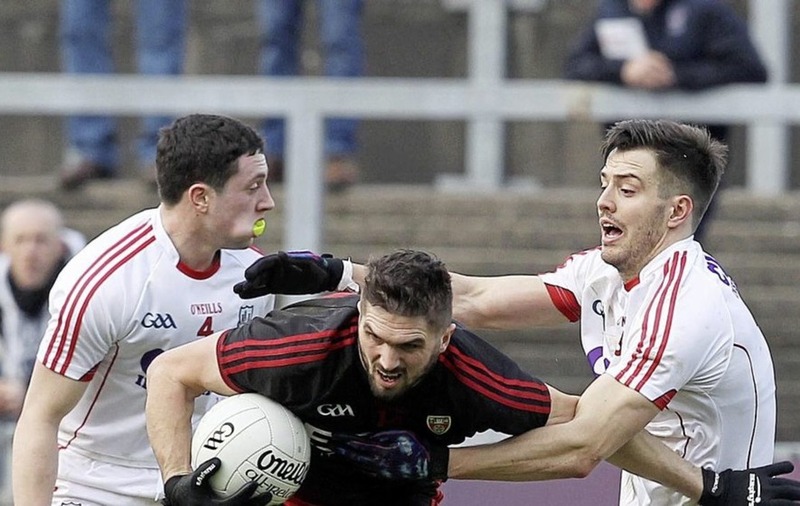 THE mooted return of the suspension-free Connaire Harrison can improve Down’s poor scoring return and put the Mournemen back in the promotion frame, says Gearoid Adams. The Down coach believes the team’s attack missed the Glasdrumman man’s raw brilliance but that he should expect closer attention following last summer’s exploits in the red and black. Harrison, who inspired Down to a fine win over Louth earlier in their Division Two campaign, was hit by a two-game ban after a scuffle in the Cork defeat. “After his two-game ban, Connaire has had plenty of time to get his mind right for the games ahead,” said Adams. “Connaire is a top class forward and he’s going to get close attention all year. Despite boasting the best defensive record in Division Two, Down’s lack of cutting edge at the other end of the field could see them facing a fight to avoid relegation. Eamonn Burns’ men sit in fifth place and on four points in Division Two ahead of Saturday’s re-arranged trip to Cavan. Adams added: “There are so many stats in the game these days, it’s become so scientific but we hit every box – defensively against Clare last time out. “We kept Clare to seven attacks in the second half; the difference was Clare had 80 per cent success with their shots, whereas we dropped well below 40 per cent. “At Division Two level you need to take your scores. We had wave after wave of attack against them. My neck was only looking the one way the whole of the second half but, unfortunately, we missed a few easy enough chances and a couple in the first half as well. “It’s not just one player, it was different people at different times. We were generally missing chances, sometimes by a foot, sometimes missing bread and butter scores, and that’s something we need to improve upon. “There have been a lot of positives – the away wins in Roscommon and Louth – but obviously our form at home needs to improve. I actually wasn’t aware of Down’s bad record at Pairc Esler but I don’t think there is any major reason for it. 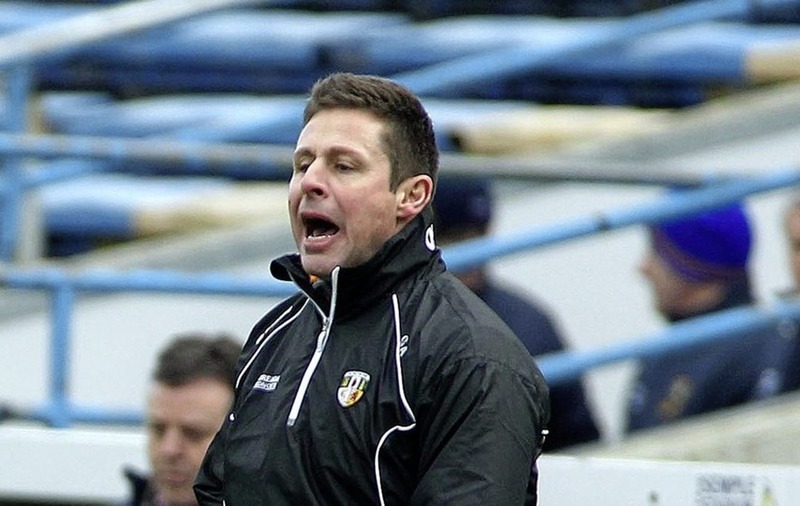 “When we played Cork and Clare at home we simply didn’t our chances. “It’s a very tight division. 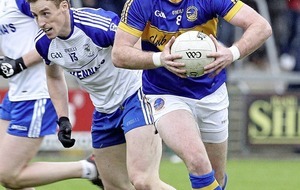 The team at the top – Cavan – are on seven points and then there’s a group of teams that still have the potential to get into the promotion shake-up but, equally, you lose another game and you could be pulled to the bottom. 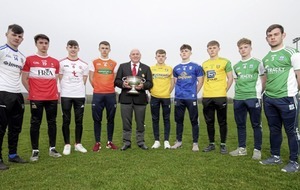 After leaving his joint managerial post with Antrim last year Adams, who had a spell with Clonduff, is enjoying his coaching role with Down and the demanding expectations within the county. “Obviously Down were in the Ulster final last year and many thought there would be an automatic kick on. It’s a different type of pressure [to Antrim]. It was different with Frank [Fitzsimons] and myself as managers with Antrim but in Down I’m there to help Eamonn and the management team as much as possible and I’m enjoying the experience. “I think we deserved better outcomes against Cork and Clare but we didn’t get them and that’s football. Hopefully we can against Cavan and try and push up the division. I think this game will give us a yardstick as to where we are."